How To Differentiate The Good From The Bad! 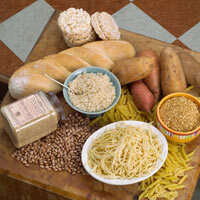 Carbohydrates are important in our diet because they provide us with the necessary energy to fuel our workouts. If you want a lean and healthy body you have to “nail” your nutrition. 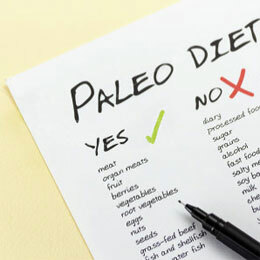 Regardless of the effort you put in at the gym you will not look your best if you are not eating the right foods. A great deal of confusion surrounds the issue of carbohydrates in terms of differentiating the good from the bad. Some people foolishly label all simple carbohydrates as bad and all complex carbohydrates as good. Cakes, muffins, cookies and sweets are all simple carbohydrates and are viewed as bad because of their high sugar content, which leads to a spike in sugar levels. Such foods give a short-lasting energy followed by a huge “crash”, and evidently they are not ideal to have before a workout session. Although fruits can be classified as simple carbohydrates, the energy obtained from them is long-lasting because of the fiber they posses which slows down the rate at which these foods are absorbed into the bloodstream. Consuming fruits will not result in such an extreme spike in blood sugar levels and to top it all off, fruits contain important vitamins and minerals which are beneficial to your body. Complex carbohydrates are viewed as good because of the complex nature of these foods, which allows the sugar in them be released gradually into the bloodstream, therefore preventing an insulin surge. Examples of complex carbohydrates are rice, pasta and bread. For the record, just because a carbohydrate is complex does not mean it is good for you. White bread and white rice are complex carbohydrates but the germ and bran in these foods have been completely removed, leaving these foods with little to no nutritional value for you. When choosing complex carbohydrates you should ensure that you choose the ones that are unprocessed like brown bread and brown rice. Brown bread and brown rice retain the germ and bran which contain much of the many vitamins, nutrients and minerals that will revitalize your body and stabilize blood sugar levels. The Glycemic Index to the Rescue? Clearly, it is flawed to group all simple carbohydrates as bad and all complex carbohydrates as good. In an effort to better assess whether a carbohydrate is good or bad, the glycemic index was invented. The glycemic index measures the rate of absorption of carbohydrates in relation to pure sugar, but the presumption is that the faster the carbohydrate is absorbed by the body the less healthy it is for you; this is not necessarily the case. The reason bad carbohydrates tend to be absorbed very quickly is because of all the processing the food has already gone through, in other words, the food has already been broken down by processing so there is not much for your body to do. This makes these foods impact the bloodstream much faster resulting in blood sugar spikes which lead to unhealthy food cravings. Furthermore, as a result of the extraction of most of the nutrients from these foods, they posses little to no nutritional value and is more likely to be stored by the body as fat. The glycemic index is not a foolproof method of assessing a carbohydrate’s merit since solely examining the rate at which a carbohydrate is absorbed into the bloodstream ignores other important factors. The watermelon has a high glycemic index, but the total calories in a watermelon is so low that it will have little to no impact on your blood sugar level, therefore, judging the merit of a carbohydrate on this basis is unsound. 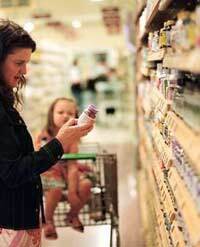 The best way of judging whether a carbohydrate is good or bad is to find out how natural it is. The closer the food is to nature the better it will be for your body. Fruits and vegetables are excellent sources of carbohydrates along with brown bread and brown rice for this reason. Their unprocessed nature allows them to be better utilized by the body and consequently less likely to be stored as fat. Therefore, if you want to achieve your fitness goals faster you need to drop the bad carbohydrates from your diet. Bad carbohydrates will lead to further unhealthy food cravings and lethargy, so if you know what’s good for you then you should stay away from those empty calories. Author's Website Chris Brown is a 25 year old fitness enthusiast. He enjoys keeping up to date on the latest developments in research regarding building muscle to share on his blog.